After Lenin in Tripura and Periyar in Tamil Nadu, now Jan Sangh founder Syama Prasad Mookerjee's statue vandalised in Kolkata; six detained - Integration Through Media ....! 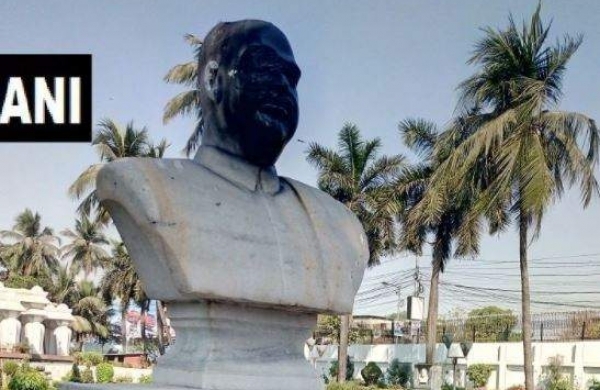 KOLKATA: Members of a left-wing student organisation on Wednesday allegedly vandalised a bust of Bharatiya Jana Sangh founder Syama Prasad Mukherjee here and blackened its face, the West Bengal BJP said. Six members of the group have been detained by the police in the incident, that happened at the Keoratola crematorium. Condemning the incident, the state BJP leadership demanded strong action against the offenders and claimed that Mukherjee's contribution to Bengal politics cannot be erased thus. “We condemn the act of vandalising the statue of Dr. Syama Prasad Mukherjee… demand very strong action against the culprits and also want to give… message that you cannot take away the contribution of Mukherjee in building West Bengal, by this shameful act,” Sayantan Basu, general secretary of West Bengal BJP said in a release. He also said that the Bharatiya Janata Party will rebuild Mukherjee's statue and with more grace. The incident comes after a statue of the Dravidian icon and social reformer E.V.R. Ramasamy, popularly known as Periyar, was razed in Tamil Nadu's Vellore, while two statues of Russian communist revolutionary Vladimir Lenin were pulled down in Tripura allegedly by the BJP-RSS activists.